8 Wedding Card Box Ideas for Every Style of Celebration | Wedding Ideas ARE YOU A VENDOR? 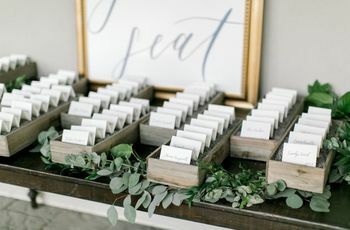 Need some wedding card box inspo? You came to the right place. Here are our favourites for every wedding theme. 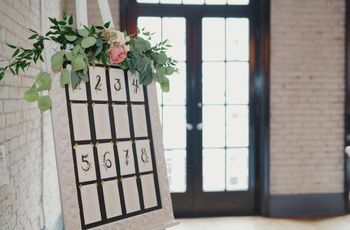 Your wedding card box probably won’t be your most eye-catching piece of decor, but that doesn’t mean it shouldn’t look stunning. From crates to canoes, there are plenty of unique vessels to use in place of classic boxes. 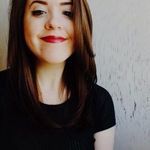 We’ve rounded up a few of our favourites wedding card box ideas for every wedding theme here to give you a bit of inspo. Here are wedding card box ideas for every style of celebration. 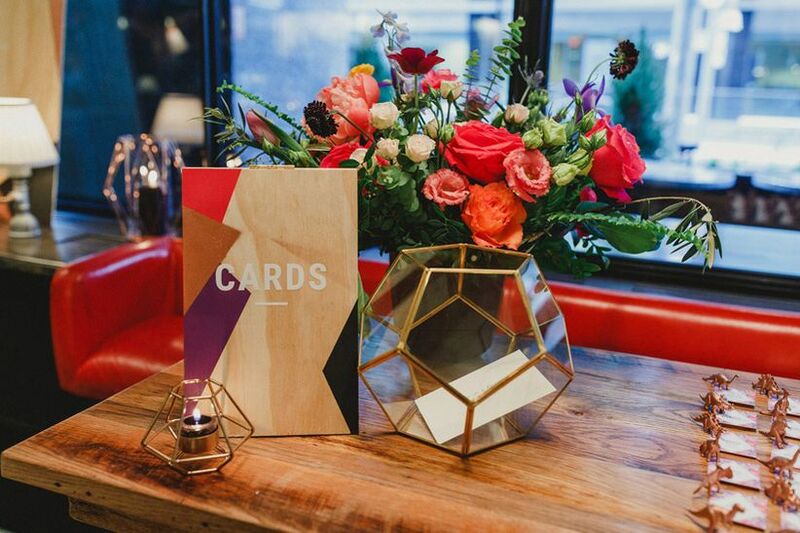 If you’re looking to put a modern twist on the classic wedding card box, a geometric vase or bowl is the way to go. We suggest looking for one with metallic accents (preferably copper), as that’s super on-trend ATM. 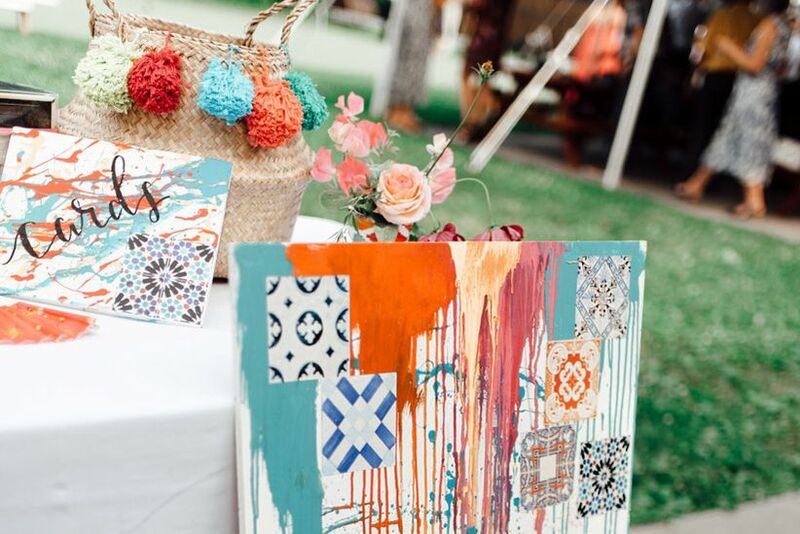 Looking for a wedding card box idea with some serious bohemian wedding vibes? We recommend going with a woven basket. Decorate it with colourful pom poms, macrame, greenery and/or other artsy accents to really take it to that next level. 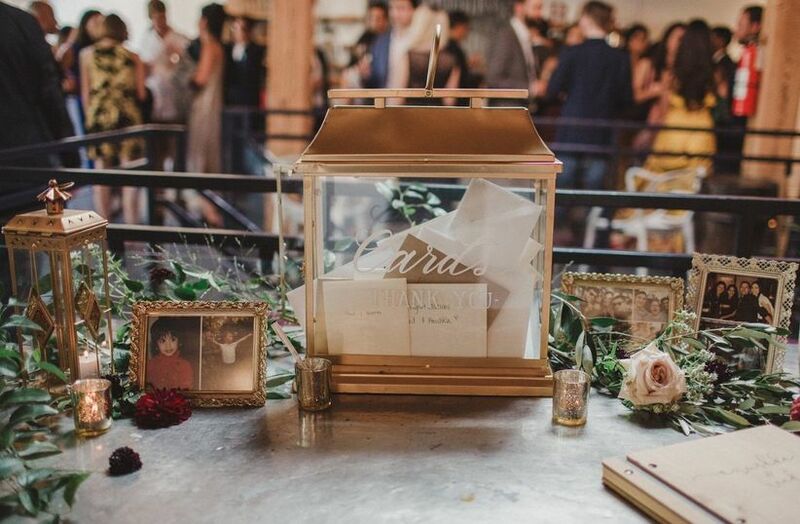 A chic lantern wedding card box fits perfectly with elegant decor. Have a calligrapher (or talented friend) paint on a message in a flowery font or leave it sleek and chic - both options look amazing. 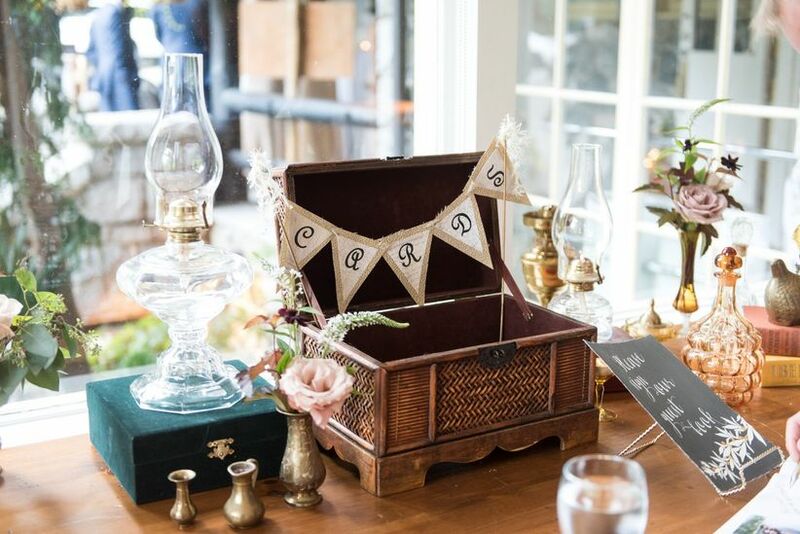 Throw it back to simpler times by choosing a wedding card box idea with some vintage flair. We suggest rooting around a vintage rental supplier, antique stores and thrift shops to find a one-of-a-kind gem, like this retro wooden chest. 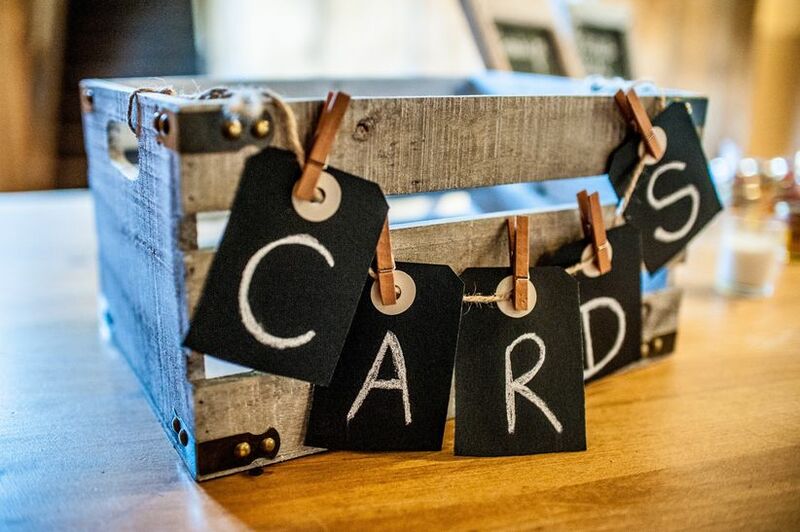 Make your wedding card box mesh perfectly with the rest of your rustic wedding decor by using a crate as your vessel. 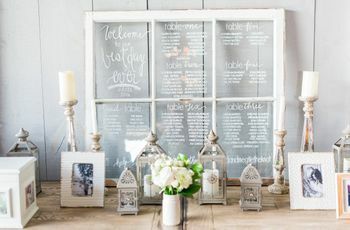 If you want to amp it up a bit, follow this couple’s lead and incorporate chalkboard cards, twine and clothespins into your design. 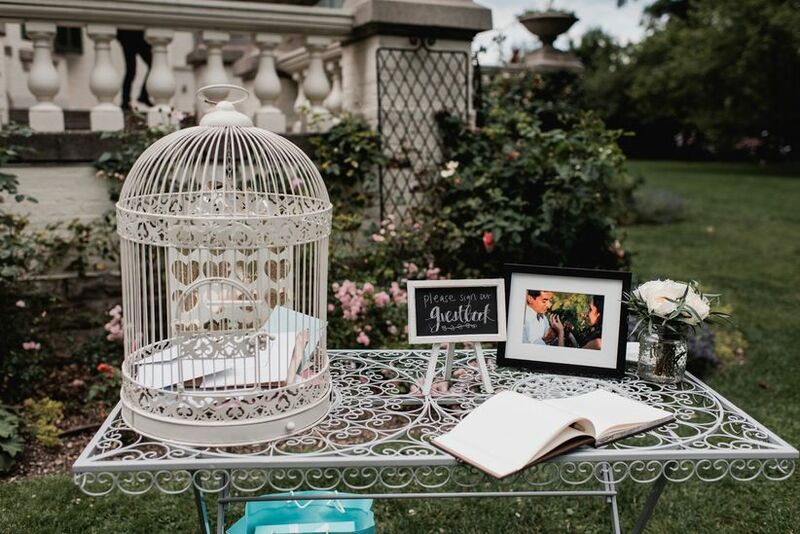 Give your romantic garden wedding decor that extra somethin’ somethin’ by using a birdcage in place of a classic card box. Weaving flowers and greenery into its bars will make it even fit your theme even more. 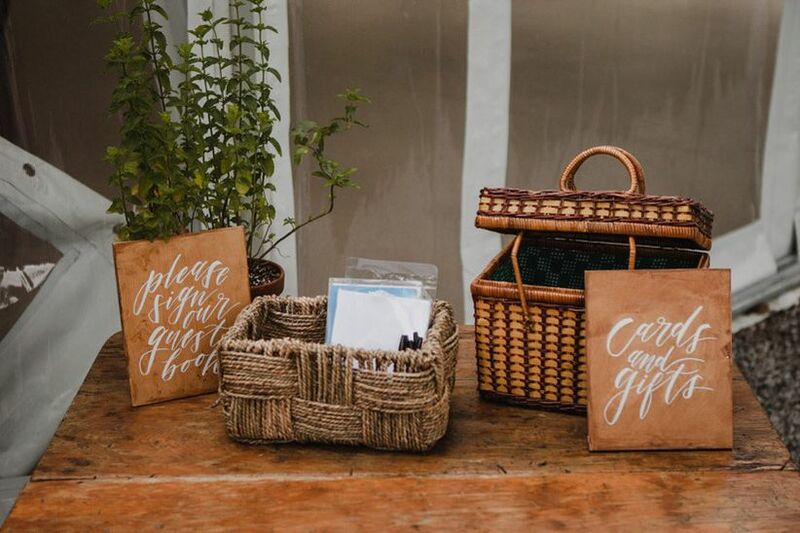 A wire basket wedding card box is the perfect fit for an industrial-chic wedding celebration. Go with a metallic creation or something bold, dark and matte, like this one. 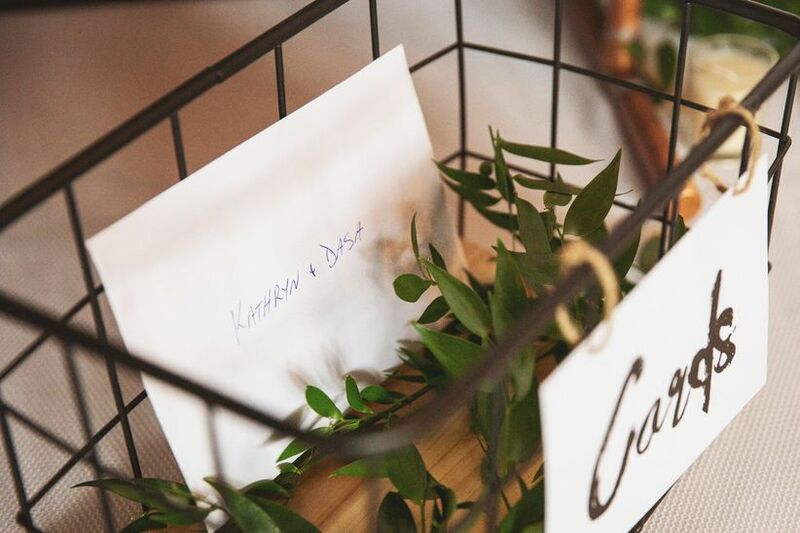 You can make it a little more wedding-worthy by adding a cute sign and some greenery, too. 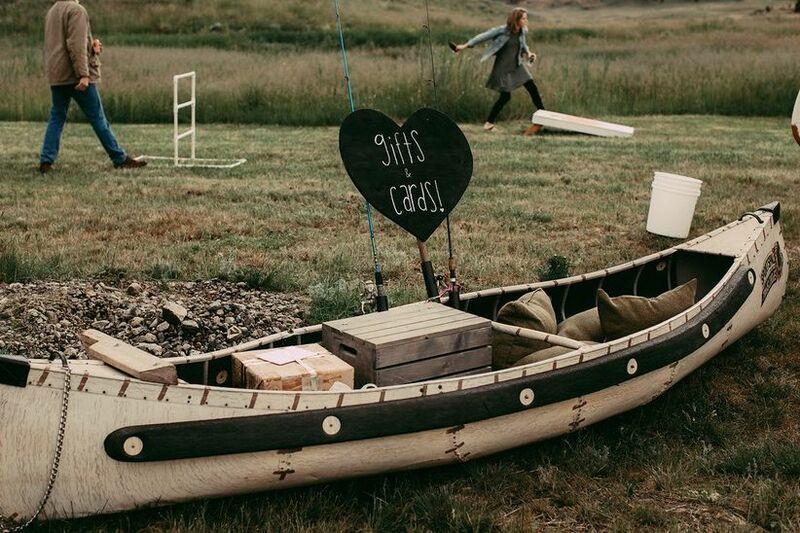 If you’re hosting an outdoorsy wedding, go for this wedding card box idea: a canoe (providing you have the space). 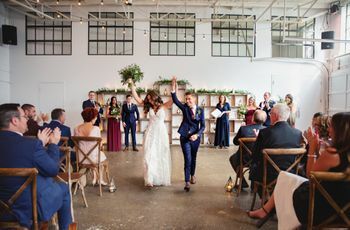 Yes, it’s bold, but it’s sure to catch your guests’ eyes and get you some amazing wedding photos.